Did your car catch the virus? Our cars are getting smarter and faster day by day. Things like opening the door, starting the car, and much more can be done with the help of a remote control meters away. This all this can be achieved with the help of smarter and faster computers, but are they prone to viruses just like our home PC’s and smart phones? Even the smallest and cheapest cars today come fitted with a computer that controls most of the things thus facilitating optimum efficiency. These computers are not akin to the highly advanced ones that we use but are faster to analyze and compute every detail in milliseconds. 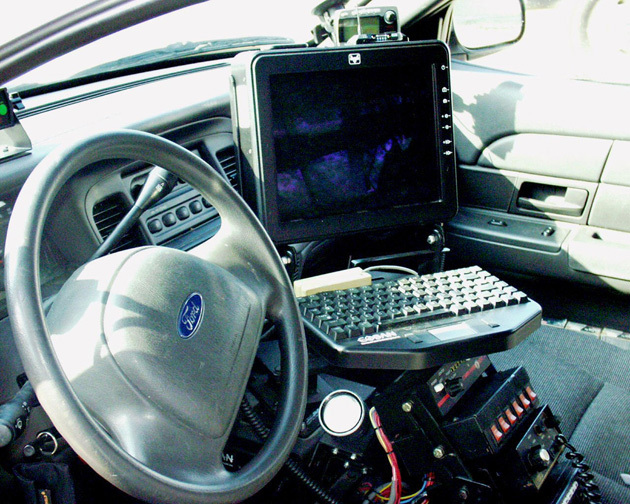 The things that are controlled by computers in a car are a lot, for example – the audio system, drive by wire, headlights, brakes etc. Well in days that are by gone and when mechanics were called grease monkeys, everything of a car was mechanical and had no computers, but in today’s scenario the car mechanics are less of grease monkey and half IT guys. The moment your car enters the service centre with a complicated problem the service advisor calls for the diagnostic system to be brought out and connected, and then he goes on using jargons about the problem like as though you would understand what an error like AIR MASS SENSOR FAIL means. Now lets not get dragged to another topic, the main concern of this topic is can our cars get a virus? No, we don’t need an anti-virus you shall get the answer later, but YES, the computers of our car can be affected by a virus. Earlier days when the only way to connect to a car was using a wire and connecting it to the ECM the possible ways of entering a virus was only by the diagnostic system, Just like in the case of Texas Auto Center where in the work of a disgruntled employee-turned-hacker Omar Ramos-Lopez, who had been laid off by the Texas Auto Center, decided to get some revenge on his former Austin, Texas employer by hacking the company’s system and in turn affecting more than 100 customers. Although Omar’s hacking attempt was considered as fairly tame when compared to the possibilities he could have done, it was more than enough to showcase the possibilities of a virus hack. Today’s cars are highly controlled by the computer and can practically be driven by the computer itself with the help of technologies like Drive by wire, Electronic throttle etc. Earlier cars didn’t have two way communication systems, but now with latest two way systems the possibilities of being hacked is high. Many scientist and researchers have said that the chances of a individual trying to hack a car is less as its in motion and to get a proper connection the hacker will have to be in constant sync with the target car which is next to impossible. Word is that the hacker will be able to prove his point by just hacking 10 PC’s whereas hacking 10 cars will be difficult and pointless. According to Aryeh Goretsky, a researcher at ESET, it’s expensive to develop viruses for many cars because there’s a lack of hardware, software and protocol standardization. “That would make it difficult for an attacker to target more than a few makes and models of an automobile at a time,” he says. Now a days with the advancement of multimedia interfaces in cars with the use of internet the usage of facebook, twitter, etc are done on the move , but yet again this increases the risk of an attack provided the multimedia system of the car is separated from the car’s main computer. But with manufacturers including newer communication and technologies the risk may increase, but that risk will not deter me from buying a car. Just like I use a computer which is at risk everyday, my car can also be, but that won’t stop me from buying one and using it daily. So with all the tensions and worries left behind in my back seat I will use my car on a daily basis.